Exwold is a contract manufacturer of agricultural and speciality chemicals with four sites in the North East employing more than a hundred people. They pride themselves on flexible and fast moving R&D with a speciality in water-dispersible granules (WDG). 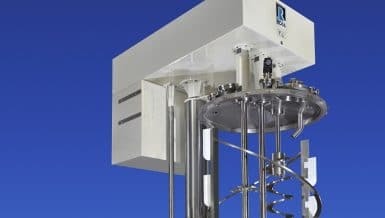 A material that is to be converted to granules is inherently prone to agglomeration, and the challenge that Exwold MD Kevin Martin presented was to supply mixers that keep the material fluid, well separated and clog-free while it progresses through the process. Exwold considered several possible manufacturers, choosing John R Boone after tests showed that the very low-speed ribbon agitators of the HHBM would maintain mix fluidity while putting very little work into the material. 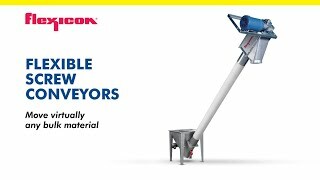 In this case, the HHBM has a U shaped body and four helical blades that sweep the entire length of the mixer providing a very gentle yet thorough, end-to-end mixing action with very low product retention. 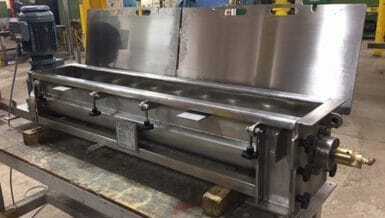 A pre-mix with approximately 3mm particle size is loaded into the first of the three John R Boone HHBM, which then feeds a reverse jet mill that reduces the particle size to micron dimensions. From there the powder is sent to two further John R Boone HHBM before going on to the extrusion press to be formed into granules. At all stages, it is critical that the mix is kept mobile, and presented to the discharge point consistently and completely. Exwold manufacture in campaigns that last several weeks and cleanliness between batches is vital. 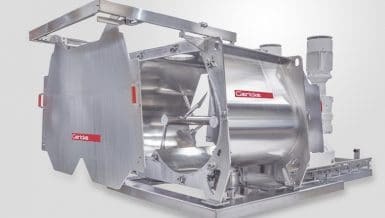 The low contact area design of the mixer body and a minimum number of blades make cleaning simpler and quicker, and John R Boone also installed CIP equipment within each mixer to further reduce cleaning time. 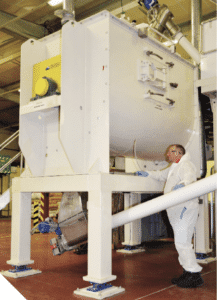 The new plant is now in full operation, producing granular products.